Now that the summer holidays are fast approaching, do you wish to relax by travelling to a beautiful beach? Planning to travel to an incredible place? But, are you worried about the ideal place to go on a vacation? Visiting Kerala can be the best way to treat yourself to a memorable trip! Popularly referred to as “God’s own country”, Kerala is one of the top tourist destinations in India. Be it the palm-fringed beaches, the languid backwaters or the verdant coastlines, Kerala is an incredible place which has something to offer for every tourist. The place boasts of some of the cleanest shorelines in the country with clear, blue waters. Walking down the pristine beaches here can thus truly be an experience for a lifetime. Here’s the ultimate travel guide to help you make the most of your trip! What Makes The Kerala Backwaters So Special? A trip to Kerala can never end without experiencing the magic of the Sunsets or the Backwaters. 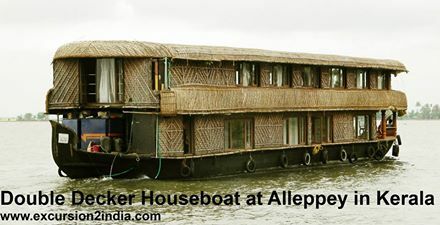 The Backwaters of Kerala have lured tourists from various parts of the world since time immemorial. The picturesque backwaters comprise of serene stretches of canals, lakes and lagoons situated parallel to the Arabian coast. Cruising along the tranquil backwaters can help you soak in nature in its best form and get immersed in the scenic beauty of the entire region. Located in Thiruvananthapuram, the Kovalam beach is one place which you should definitely visit whenever you opt for Kerala Tour packages from Kolkata. This magnificent beach is enclosed by coconut palms and supported by rocky headlands. It is lined with tall lighthouses and glittering sand, making this beautiful beach a paradise. The beach is the ideal destination for beach lovers and honeymoon couples. While couples can spend some romantic moments along the adventurous activities, beach lovers can make the most of sunbathing, swimming and Ayurvedic massages. The Varkala Beach is counted among the top ten seasonal beaches all over the world by The Discovery Channel. The beach offers pristine views of the beautiful landscape, brown sand and the sea. Varkala beach is widely known for its range of beach activities like sunbathing, wind and swimming. This striking beach can simply leave you enamoured with its long stretches of cliff expanding over the Arabian Sea. Also known as Papanasam beach, it is believed that taking bath here can wash away all sins. So what are you still here for? Quickly approach a leading travel agency and opt for an assorted Kerala tour package!